Is Kapolei closer to you? Visit our new Kapolei office. Now accepting new patients. Solutions for Your Child’s Dental Emergencies. Mouth pain and accidents happen. 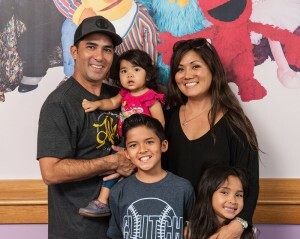 Your Honolulu children’s dentist, Dr. Sueda, and his team are prepared for your child’s urgent dental care circumstances often on the same day. Cleanse the painful area with warm water. Check for impacted food and remove it gently with a toothbrush or floss. Apply a cold compress if you notice swelling in their jaw area. Contact our dental office for next steps or to schedule an appointment to get relief for your child. Immediate attention for your child’s knocked-out or damaged tooth. Recover their lost tooth, if possible. Carefully rinse it, keep the root and any connected tissue intact, and place it in milk or warm water. Contact our dental office about the specific details of their tooth trauma. Schedule an appointment as soon as possible. Contact Honolulu Keiki Dental’s Ala Moana dental office about your child’s dental emergency. Ask about vital next steps for your child’s tooth or mouth trauma. We recognize the importance of using the diacritical markings of the (modern) Hawaiian language to preserve the language and culture of Hawaii. However, you may notice these diacritical markings have been omitted throughout the website to ensure the best online experience for our visitors.